FeedBack ( 0) View photos of the property at www.tourbuzz.net/public/vtour/gallery/400146 . Relax....relax in the mountains in this spacious townhouse in Whitehawk Ranch. With 3 bedrooms, each with their own bathroom, large living area, kitchen with eat-in kitchen AND dining area, there is plenty of space for entertaining guests for the weekend. Walk to the golf course, community swimming pool and tennis and then Whitehawk Lodge for dinner and a nightcap. You never have to leave here, but if you do, there are numerous golf courses and restaurants in the area. 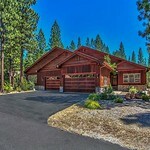 Just minutes to Lakes Basin. See www.carolmurrayrealtor.com/ about this home/land.